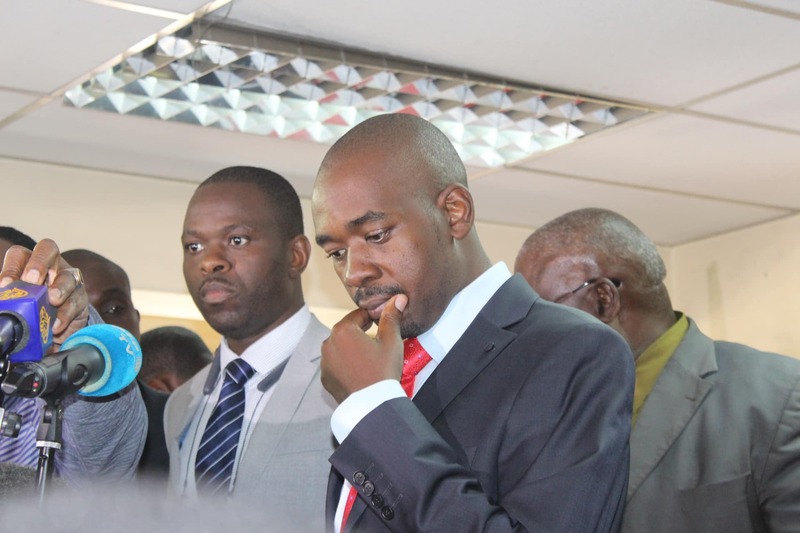 MDC Alliance Presidential candidate, Nelson Chamisa has backed off from his earlier threats to disrupt the July 30 harmonized elections if his demands for a level playing field are not met, vowing to participate and defeat the ruling Zanu PF party. Addressing journalists in Harare today, Chamisa said he will not budge to the machinations of Zanu PF who want him to throw the towel vowing that quitting is for losers. “We are going on with the election, we will not lose and victory is certain. We know that our rivals want us quit, but quitting is for losers that is why we are going to participate and win,” said Chamisa. The MDC Alliance presidential candidate previously vowed to block the holding of elections until ZEC guarantees transparency and security of the vote. Among his demands included transparency in the printing and distribution of ballot papers, independence of the electoral body and equal access to state media among other grievances. The Kuwadzana East legislator expressed confidence of his chances to win the Monday elections which he said will be his victory against ZEC and Zanu PF. “We are winning and we are not going to lose, this is our election, we urge our people to go and vote on Monday and show Mnangagwa that the people want change,” said Chamisa. Yesterday President Mnangagwa warned Chamisa that he faces arrest if he continues to incite his supporters to picket at ZEC offices in a bid to disrupt Monday’s general elections. “As political parties, we signed a pledge for peace ahead of elections. All 55 parties taking part in the elections signed, but to my surprise, some little boy and a small party turns around to say he wants to shut down Harare,” said Mnangagwa while addressing villagers in Mubaira, Mhondoro.